We interviewed each designer to learn a little more about their background and design experiences so far. 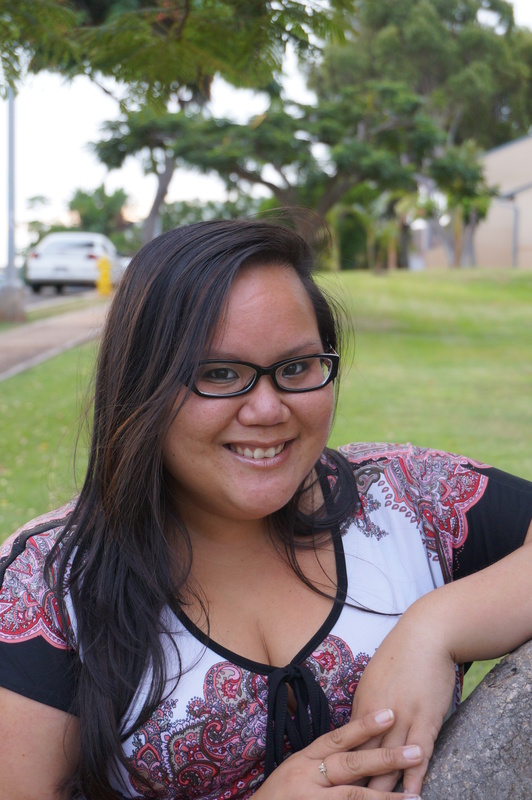 Today’s profile highlights Challaigne Cole from Kapolei, Hawaii. Challaigne: I became interested in designing over time as I worked in the appliance department at The Home Depot. I noticed the cabinetry and countertop materials that were available, and became fascinated with what could be created on the 20/20 program. I knew I wanted to become a part of something like that. I wanted to be able to create people’s projects. After taking the training, I knew I found the right job. I love being able to combine work and creativity. Challaigne: I had a great project where I had to help the Kamehameha schools on Oahu put together five dorm kitchens and over 40 bathrooms. It was a long and trying project but we got through it. It was exciting to be a part of the whole process and I was happy I got to assist the school in getting all the materials needed to complete the project on time. Challaigne: I am definitely over the standard 1×1 mosaic tile splashes. I love to see subway tiles and varied sizes/textures. Color splash is always beautiful, especially when it’s mixed with glass and natural stones. Challaigne: I am definitely in love with color! I can easily fall in love with contrasting colors as much as I would with color splashes like painted red or gray cabinetry. When everything is put together, each customer can make a statement about who they are and what colors they love. A little color can make a big difference in making your kitchen or bathroom your own unique space. I will also always love the look and feel of an apron front sink, particularly in white cast iron. Challaigne: Having an appliance department background definitely helped me stay interested in the entire training at GE Monogram. I enjoyed learning about the Advantium the most! It was a huge help for me to be able to learn about the way it works and I have confidence in the way I will explain it to my customers. It’s such a convenient and powerful kitchen tool! I also really enjoyed learning about the refrigeration part of Monogram. The different ways you can configure some of the models was neat! 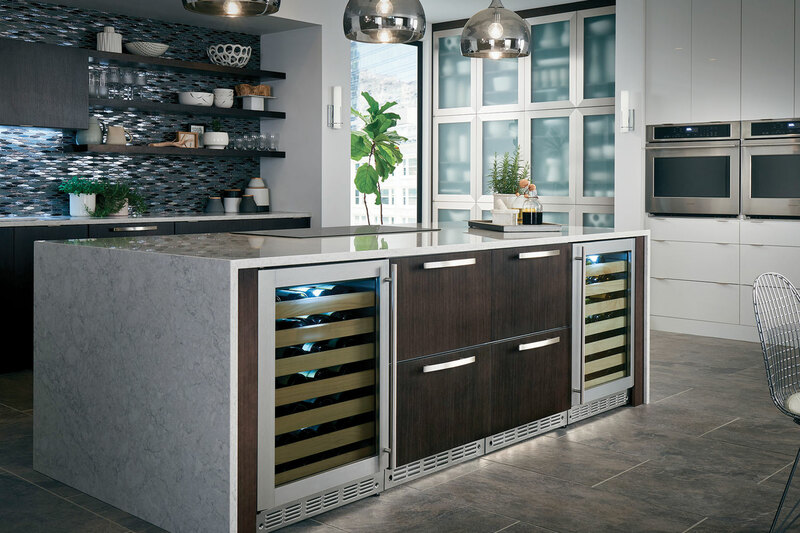 And now with the compact built-in, a lot of smaller kitchens will be able to have a luxurious style refrigerator.